Did you know we can date the origin of buckles back to cloistered monks in the mid 17th century? Not too long after their appearance, traditional laces were being replaced with metal buckles—starting a brand new fashion trend among the common, wealthy, and noble man. Shoe buckles slowly gained popularity in Europe as they began making appearances on the toes of London courtiers. The first shoe buckles were simple steel cut designs made for men’s shoes and knee bands (yes, the men were often just as, if not more, fashionable as the women), but eventually evolved into more decorative designs for ladies and the upper class. 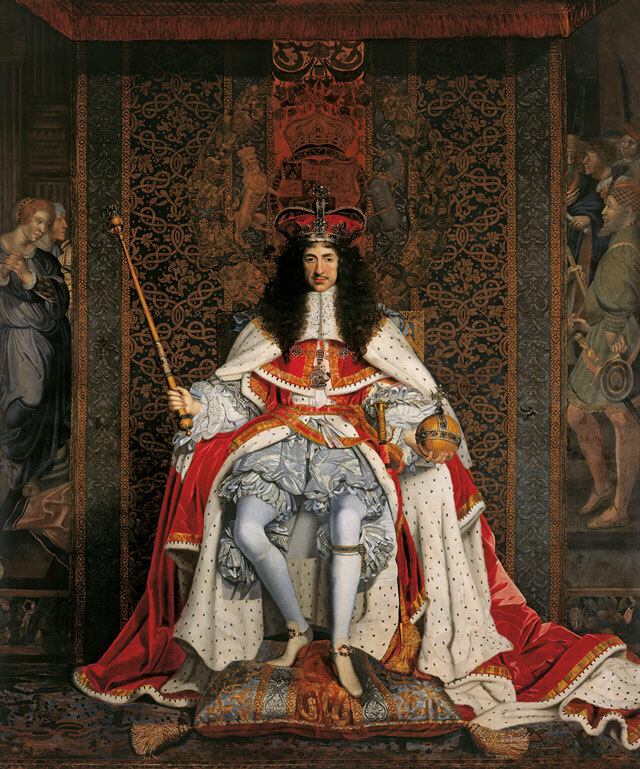 Charles the II of England was known for his excessive and elaborate fashion—he even made some styles and items of clothing mandatory dress for his courtiers. 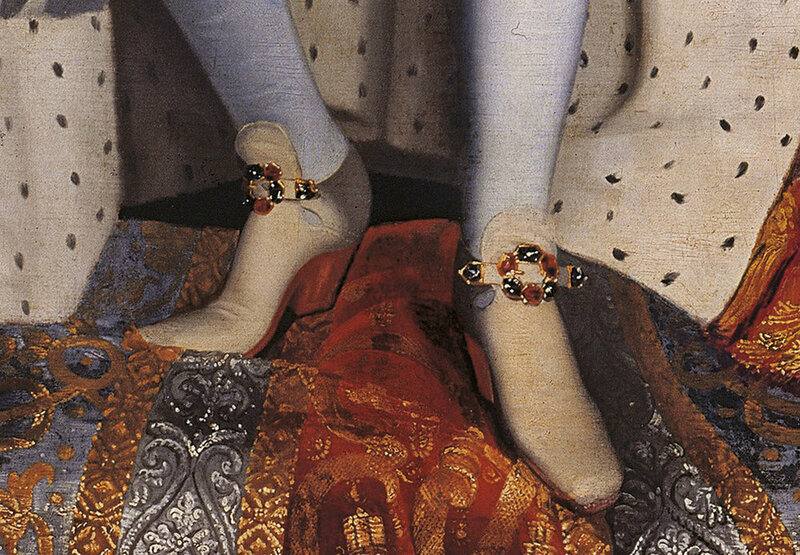 Above is a painted detail of his shoe buckles—an accessory he deemed “a style to stay”. Whether he spoke it into existence or not, shoe buckles would remain popular across continents for centuries after his reign. The designs were predominantly metal, but eventually moved into other materials such as animal horn, enamel, and platinum. Rhinestones, cloisonné designs, and other precious stones were elements commonly used in construction of the buckles—naturally one’s wealth and status would be reflected in the design’s elaborate craftsmanship and value. Buckle designs ranged from simple and utiliarian, to fanciful lace and pearl trimmed arrangements favored by high society ladies. And it’s the later that remained popular for centuries—eventually fading out of style around the 1930-40s. We LOVE these gorgeous accessories from the past… they say fashion is cyclical, so maybe they’ll eventually come back to adorn our toes with some sparkle sometime in the future? In the meantime, we’ll at least try and get the trend started by turning them into jewelry.